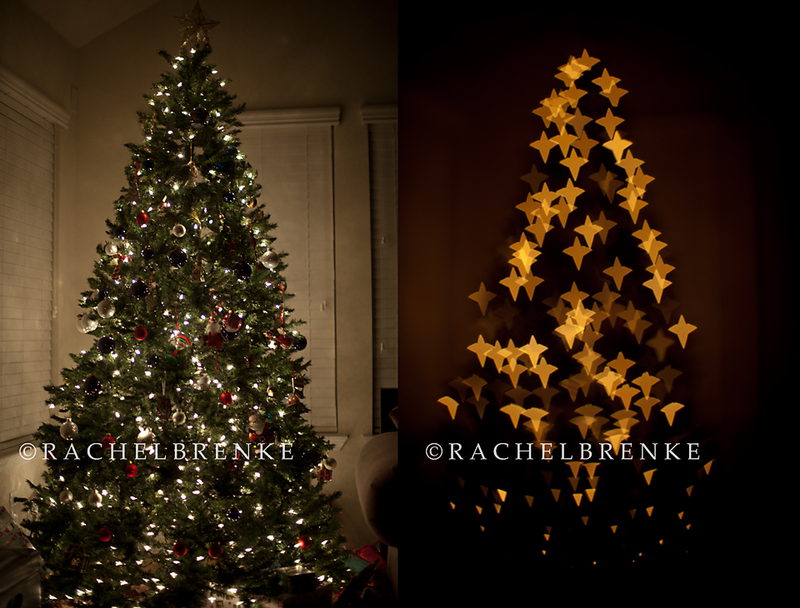 As if the sparkle from a Christmas tree isn’t enough we’ve got this fun & easy to follow tutorial on how to photograph Christmas tree lights into shapes. Go on … have some fun & pull out the construction paper. This one would also be fun to let the kiddos participate in. It is recommended that you use a black piece of paper, but you can use colored to help add a tint to the scene. Attach the piece of paper to the lens with tape or a rubber band. Set your lens aperture (fstop) to the lowest number possible (1.4-2.2). 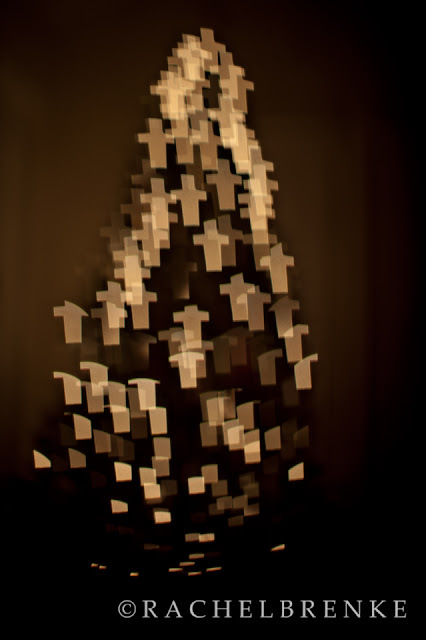 Switch off your auto-focus on the lens and manually manipulate the scene to be blurry. Before/After Here is an example of the before and after!